Could it be that the moon has been artificially constructed? An extraordinary question, but one which is argued persuasively by the authors, with compelling evidence and astonishing conclusions. When all of the facts are dispassionately reviewed, it becomes obvious that the moon is artificial. The only question that remains is who built it? The moon has confounded scientists for many years. It does not obey the known rules of astrophysics and there is no theory of its origin that explains the known facts - in fact it should not really be there. 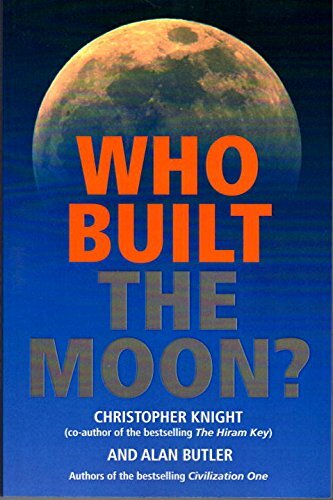 Alan Butler also discovered that the Moon possesses little or no heavy metals and has no core, in fact many specialists suspect that the Moon is hollow. If our Moon did not exist - nor would we. Experts are now agreed that higher life only developed on Earth because the Moon is exactly what it is and where it is!